Iran’s Supreme Leader accuses the United States on of trying to stoke a “regional crisis”. 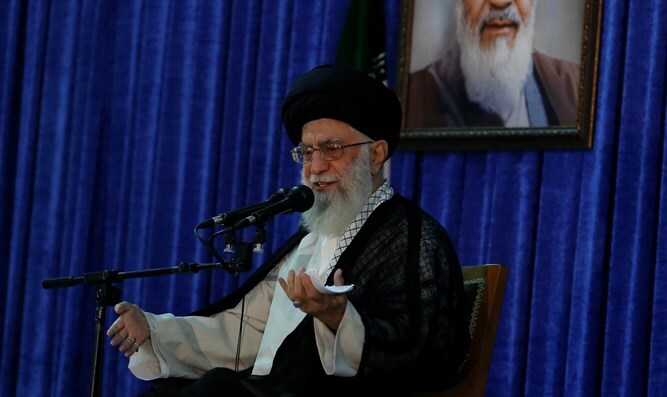 Iran’s Supreme Leader, Ayatollah Ali Khamenei, blasted the United States on Monday and accused Washington of trying to stoke a “regional crisis” by provoking its ally Saudi Arabia to confront Tehran. In remarks broadcast on state television and quoted by Reuters, Khamenei reiterated his longstanding calls for the United States to “leave” the Middle East, which he called Iran’s home, and said any power seeking to challenge Iran would be defeated. “One of the ways to confront Iran is to provoke inexperienced rulers of the region,” he charged, in an apparent reference to Saudi Arabia’s Crown Prince Mohammed bin Salman. Khamenei’s comments came a day after U.S. Secretary of State Mike Pompeo visited Riyadh where he met Saudi King Salman. During the meeting, Pompeo lashed out at Iran and said Washington was deeply concerned by its “destabilizing and malign activities” in the Middle East. “Americans are the ones who should leave ... The Middle East, the west of Asia and the Persian Gulf is our home,” Khamenei said, according to Reuters. Iran’s Supreme Leader is no stranger to threatening the United States, Israel and other enemies of Iran. The Supreme Leader refers to the U.S. as the “Great Satan” and backs the chants of “Death to America” which are often heard during protests in Iran. In March, Khamenei said his country has neutralized U.S. plans in the Middle East. As for Israel, he has in the past referred to the Jewish state as a “cancer” and threatened to "annihilate" the cities of Tel Aviv and Haifa. Saudi Arabia and Iran are regional rivals which back different sides in places such as Syria and Yemen. Iran and the Saudi Crown Prince have also had a back-and-forth after the Crown Prince several times compared Khamenei to Hitler.